Engines are warming up for the next Ubuntu Developer Summit next week in Brussels, and on the Community track we've got a rich set of sessions to discuss a lot of topics around Translations. 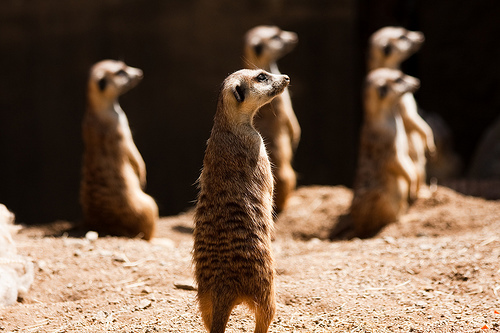 These will help shaping up the roadmap for the next version of Ubuntu, the Maverick Meerkat. Proposed topic: QA of language packs (GaborKelemen) - asking translators to test each updated package before release may be too much. With on-demand updates, it may be unnecessary to withhold untested updates. Overview of Launchpad Translations changes in Maverick: automatic generation of translation templates, import of translations from upstream bzr branches and translation sharing. This will also be explained in a plenary. Could langpack-o-matic build the translated XML files for documentation to be shipped in language packs? Even if we cannot get it to build for all packages, even if only for ubuntu-docs would be a big improvement. Enabling keyboard indicator applet by default on users with a non-Latin alphabet keyboard layout (see bug 550704)? Evaluate the use of mlterm instead of VTE for RTL locales? Unstructured session to discuss and gather feedback on all around Kubuntu translations. Session to discuss how to rise awareness on the global Ubuntu Translations community, both within and outside the Ubuntu community. Session to discuss ways of providing content to ease start contributing to translations. Discuss a series of events throughout the cycle to help promoting the Ubuntu Translations project and increase participation in translating Ubuntu. A session on an effort to get in touch with all of the translations teams for a health check. Make sure to understand their needs and if they need help in any area. Raise awareness on the new team policies, especially on having information on the team's communication channel on their Launchpad page, along with info on how to join the team. Discuss the current status and implementation of the Launchpad Translations reporting API, as per the specification Adi is working on. Get feedback on the creation of a resource with developer reference on localization, extending the internationalization guide. Session to assess if it's desirable to make all localized applications from universe also translatable in Launchpad, not only those from the main repository. Development of a strategy to provide translatable documentation for Ubuntu applications. This will also allow OEM projects to use documentation and its translations from Ubuntu, installed independently from the monolithic ubuntu-docs package. Ideally the translated documentation should be shipped in language packs. "Supported release" should mean not only security fixes, but translation updates too! Asking teams to create localized versions of that site makes no sense: we duplicate the infrastructure and the work to maintain it for nothing. Go to the blueprint. Click on the session you're interested in, either in this overview or in the UDS schedule. This will take you to the blueprint in Launchpad. I'm already looking forward to seeing everyone again in Brussels, it's going to be epic once more!